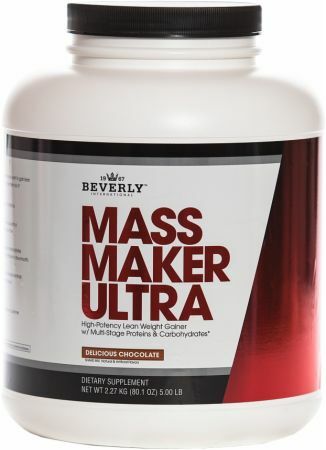 Mass Maker Ultra by Beverly International at Bodybuilding.com - Best Prices on Mass Maker Ultra! Fans of MMU vanilla have compared its taste to cheesecake, creamy whip ice cream, tapioca, vanilla pudding, and crème brulee. The aroma of MMU chocolate is like cocoa. The taste reminds you of drinking a glass of fresh milk mixed with a spoonful of your favorite chocolate syrup as a child. Stomach-friendly: MMU is easy to digest. Unique formula: MMU contains a blend of 4 fast and slow proteins, 11 carbohydrates, and healthy fats from coconut oil and medium-chain triglycerides (MCTs). MMU contains more protein and less sugar than some popular mass gainers. No-nonsense formula: Other mass gainers may claim to provide more calories per serving. But don't be fooled by the numbers. Read the label carefully before buying. These high-calorie claims may be based on the number of calories provided by mixing the product with whole milk, not water. For instance, one popular mass gain product claims that it contains "900 Calories", but this is based on adding 2 cups of whole milk, providing an additional 296 Calories, 16 g of fat and 24 g of sugar (mainly lactose). Every bottle of MMU provides a true 390 Calories. There's no nonsense about it. you are a hard-training athlete or very active individual trying to gain or maintain quality weight, or you want a traditional meal replacement that is complete with high-quality protein, carbohydrate, and fat. At least one serving (2 scoops) should be taken immediately after workout or practice. If you require more calories, simply add more scoops of MMU when preparing your shake. Add 5 oz of cold water for each additional scoop. You may also add milk, cream, a banana, or your favorite nut butter to MMU to increase the energy density of your shakes. Travel Tip: Put 2-4 scoops of MMU in a Ziploc bag and tuck it inside your shaker bottle. Todd says: "One taste and you'll never go back to the cheap stuff. My nephew had a hard time gaining weight, but MMU is so convenient and good that gaining weight is easy for him now. All of the guys at my gym start out using the cheaper stuff, but once I have them try Beverly, they never switch back." Randy says: "Beverly, you have helped me reach goals I thought were impossible. My self-esteem hasn't been this good since I was in high school, and I'm now 44 years old. My fast metabolism and stressful job (paramedic) have kept me skinny for years. Then I saw Beverly products were used in trauma units, hospitals, and burn facilities. At nearly 6 feet and 170 lb, I gave Beverly's Mass Maker a try and my weight soared to 195 lb. 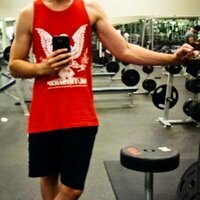 My muscle gains went through the roof. Your top-of-the-line products are the only ones for me. I'll never use anything else." Tony says: "I have a tendency to be skinny yet gain fat easily. After trying nearly everything on the market without success, a friend told me about Beverly and I gave it a shot. The protein powders are so good it was a treat every time I had one on my short breaks. The first 2 weeks, I gained 5 lb of muscle! After the first 2 months, the only other product I added was Mass Maker, which I love. 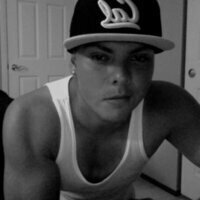 I have gained a total of 13 lb of muscle and dropped 21 lb of fat, with strict diet and exercise. * Needless to say, I no longer use or even have to try another brand." Adam says: "I just wanted to say WOW. Your products are simply the best I have ever used. I am taking Ultimate Muscle Protein and Mass Maker and I have seen huge strides in my strength, size, and recovery. * After a little over a month, I have added nearly 20 lb on my bench, and my arms, back, and shoulders are growing and recovering faster than ever. Nowhere else can I get so much bang for the buck. Keep up the amazing work. You have gained a customer for life!" Todd says: "I'm very cautious of the supplements that I buy. If I don't like the taste and don't see results, I won't take it. Beverly's Mass Maker is awesome. I've put on about 10 lb in the two months that I have been using it with my workout routine. 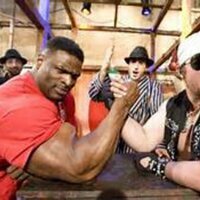 I began following a powerlifting-style training program after starting Mass Maker and my strength is through the roof. I go through at least a jug a week." MMU is the ultimate clean meal replacement. When I drink it after a workout, it literally feels like my whole body is getting a system "reboot". MMU saves me a ton of time by giving me the extra calories and protein I need to help me maintain my weight, recover from workouts, and build quality muscle. It has some of the same awesome proteins you get in Beverly's protein powders (which I also use), combined with clean fuel/energy from whole grains like brown rice and Amaranth and healthy fats from coconut and MCTs. I love Beverly's products because they are quality-tested and been proven to work over decades of use. I purchased this product about a month ago hoping that this mass gainer would taste good how the reviews claim. But that was far from the truth. The protein doesn't blend well even if you put in a blender. It's consistency is really thick, even if you add more water, it still feels like you are swallowing oatmeal. The flavor isn't "Delicious" either. it's really bland and I will not be ordering from this maker anymore. I'm gona stick with ON and Musclepharm since their protein powders mix easily in just a blender bottle. I guess the old saying is true, "if it's not broken, don't fix it". Don't order this product if you have never tried it before. SAVE YOUR MONEY!!! Great powder, taste is amazing. Love what's in it but my only complaint is it's consistency. Hard to mix in a standard shaker without getting hard to remove clumps stuck in corners and the sides of the shaker. Switched my shakes to blender, I instantly had no problem at all. †Percent Daily Values (DV) are based on a 2,000-Calorie diet. **DV not established. Allergen information: Contains milk, soy, egg, wheat and gluten (from oat, wheat and barley). For a thicker, sweeter shake, reduce the amount of water slightly. Adding ice cubes when blending will also increase thickness. If you require more calories, simply add more scoops of MMU when preparing your shake. Add about 5 oz of cold water for each additional scoop. Warnings: Important: Use this product as a dietary supplement only. Do not use for weight reduction or as your only source of calories.